Everyone makes mistakes and sometimes those mistakes lead to a lawsuit. In employment law, there are two related, parallel concepts that operate when the wrongdoer is an employee who is on the job: personal liability of the employee and vicarious liability of the employer. While there are sound public policy reasons to require an employee to account for the wrongs they commit on the job, there are also public policy reasons to find an employer must account for the employee’s wrongs. Holding people accountable for their own actions is likely to deter wrongdoing if people are to pay for their own wrongs. On the other hand, holding an employer accountable for the actions of the employees encourages employee participation in the work force, helps victims collect from the typically deeper pockets of an organization, and to protect employees who act in accordance with their employer’s interests are not forced to pay for wrongs done on the employer’s behalf. This concept was recently visited by Ontario’s highest court in Sataur v Starbucks Coffee Canada Inc., 2017 ONCA 1017, where the Court of Appeal refused to remove two individual Defendant: a Starbucks Barista and Manager from a lawsuit. In this case a plaintiff was alleged scalded with hot water after asking a Barista to fill up a bottle water. The Court of Appeal held that the concept of vicarious liability was not a bar to suing an individual employee, who owes their own duty of care to the customer. The Court expressed “there is no general rule in Canada that an employee acting in the course of her employment cannot be sued personally for breaching a duty of care owed to a customer,” as vicarious liability and personal liability can live together within the same claim. 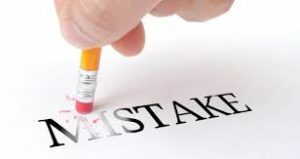 That said, finding an employee personally liable for wrongs on the job, will require the complainant to prove a tort and damages, which in employment law most often will be a tort of negligence, or ‘mistakes’ made on the job. This will involve proving the employee owed the victim a duty of care, the injury caused to the victim was done by the specific employee and that the wrongdoing did not arise out of the employee’s position within the employer, but rather it must be personal and direct, with some foreseeability of the harm (see London Drugs Ltd. v. Kuehne & Nagel International Ltd). For victims of wrongdoing, including for employees who are wronged on the job (ex. Injured, harassed, assaulted etc. ), these concepts generally provide two avenues for collecting damages. If you have been wronged on the job, or are an employer concerned with an employee who may be opening you up to vicarious liability, you should contact an employment lawyer.